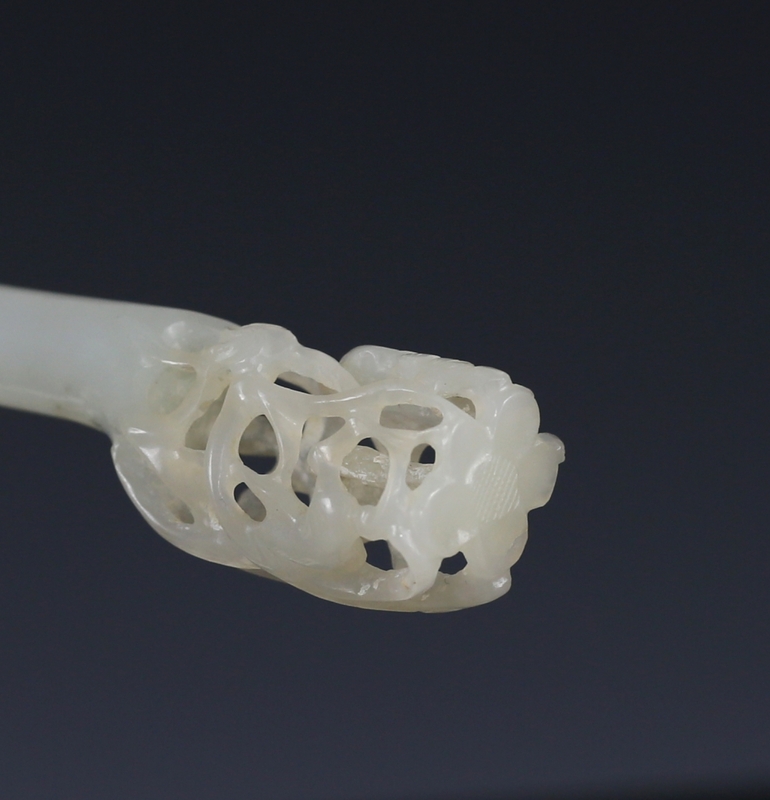 A lovely reticulated late Ming white jade hairpin, formed with a long tapered body opening to a open-work knob comprised of birds perched amongst interlaced branches. 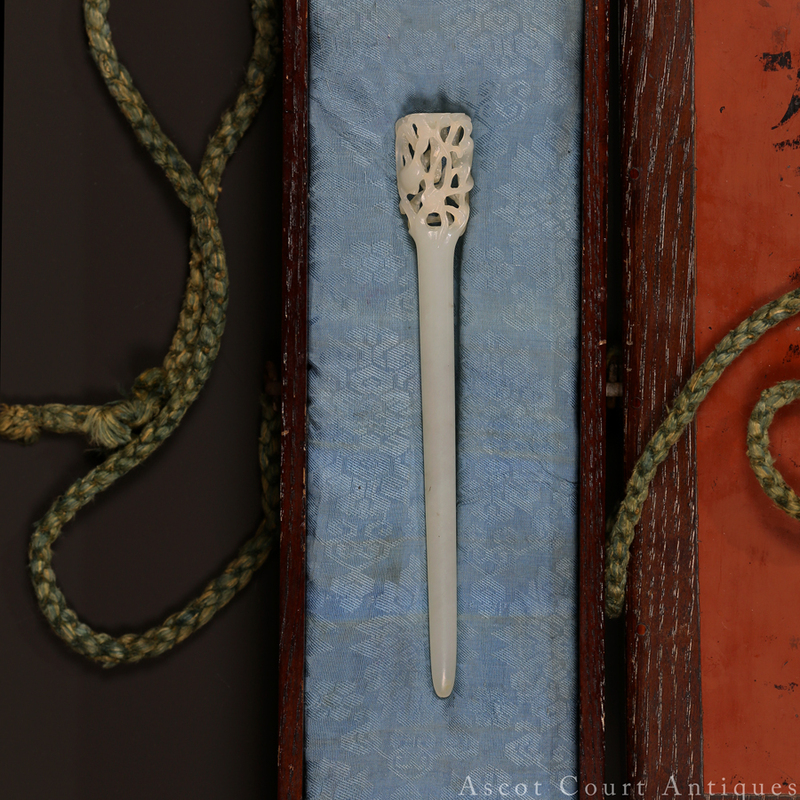 The hairpin is fitted with an old Japanese collector’s box. 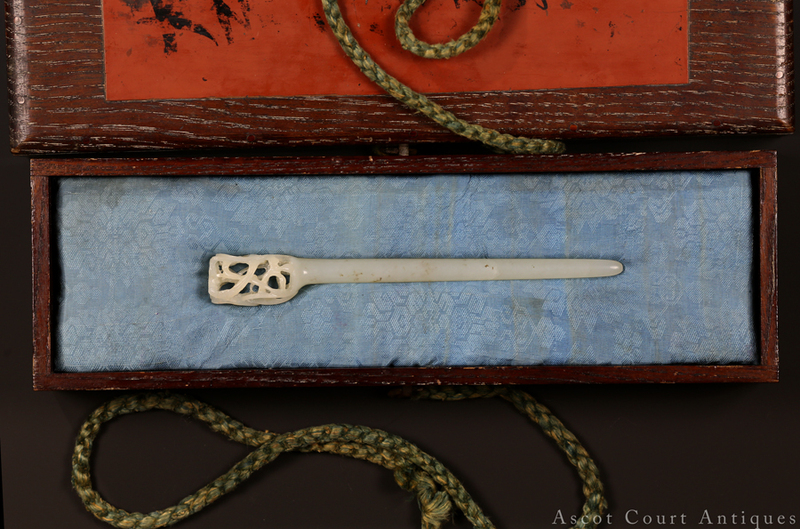 Late Ming hairpins of this type were likely worn by both women and men. 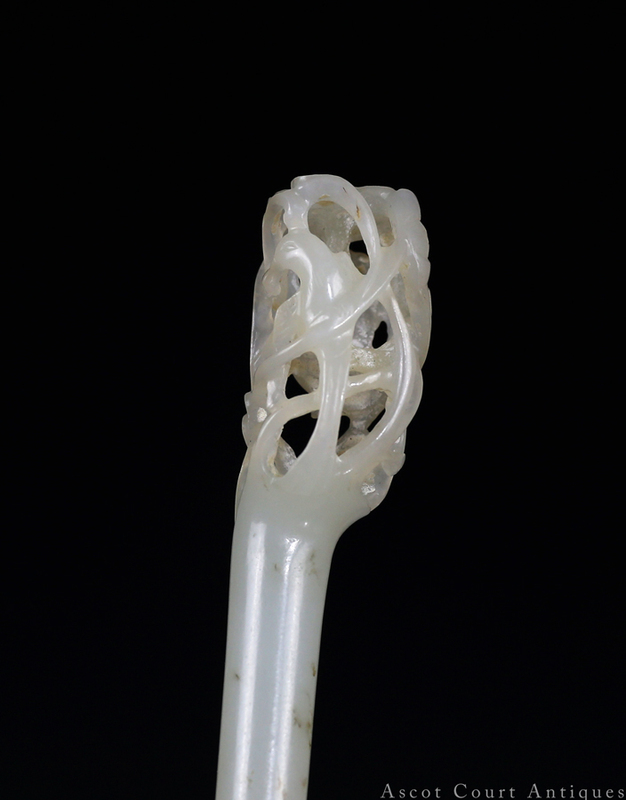 The Han Chinese of the Ming period, like their ancestors, wore their hair long. Men would tie their hair into a bun or topknot, gathered at the top of the head. 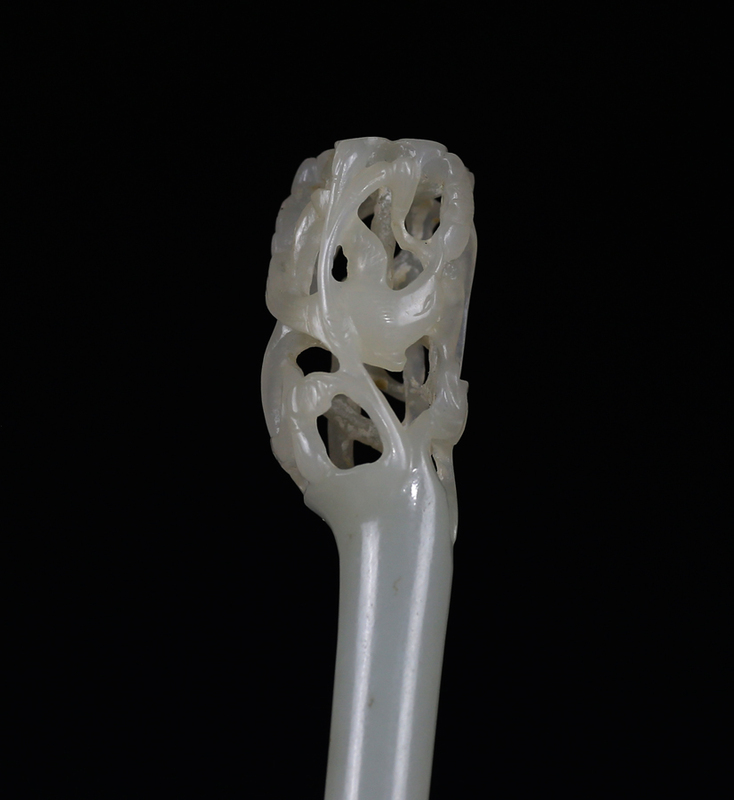 The hairpin, along with a cloth or jade hood, would then keep the hair secure. The late Ming was a period in which the lives of the well-to-do scholar gentry and merchant classes were framed around a rich material world. 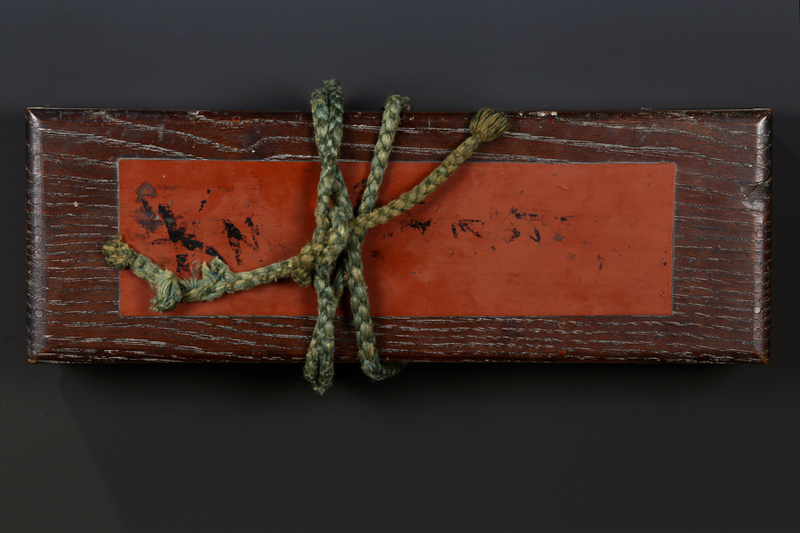 Surviving writing from the period tell of rich decorative arts and colorful robes worn by men and women alike. 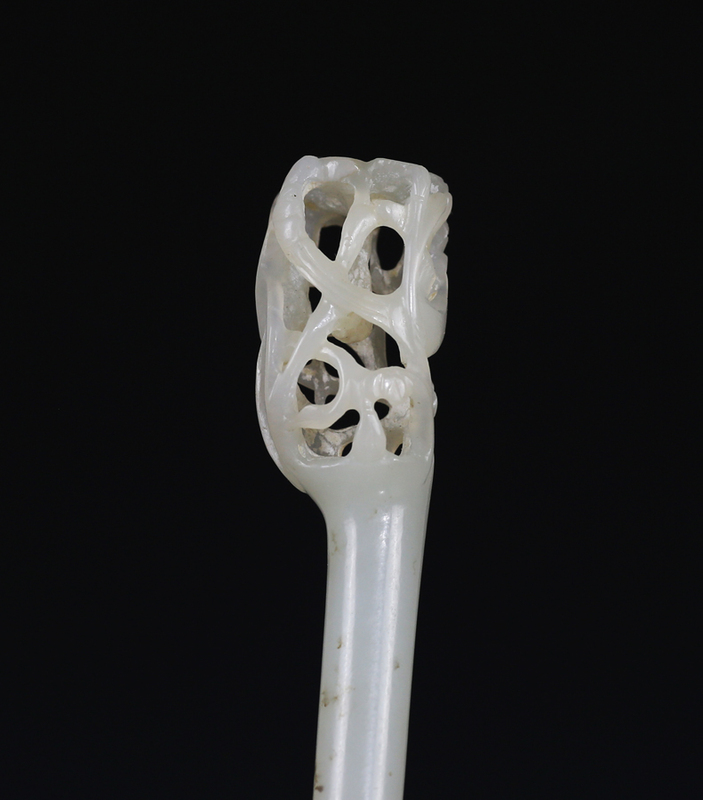 The Wanli period tomb exacavated in Shanghai, belonging to Zhu Shoucheng and his wife, yieled many decorative silver, gold, and jade jewelry designed to catch the eye and keep their wearers fashionable by contemporary standards. 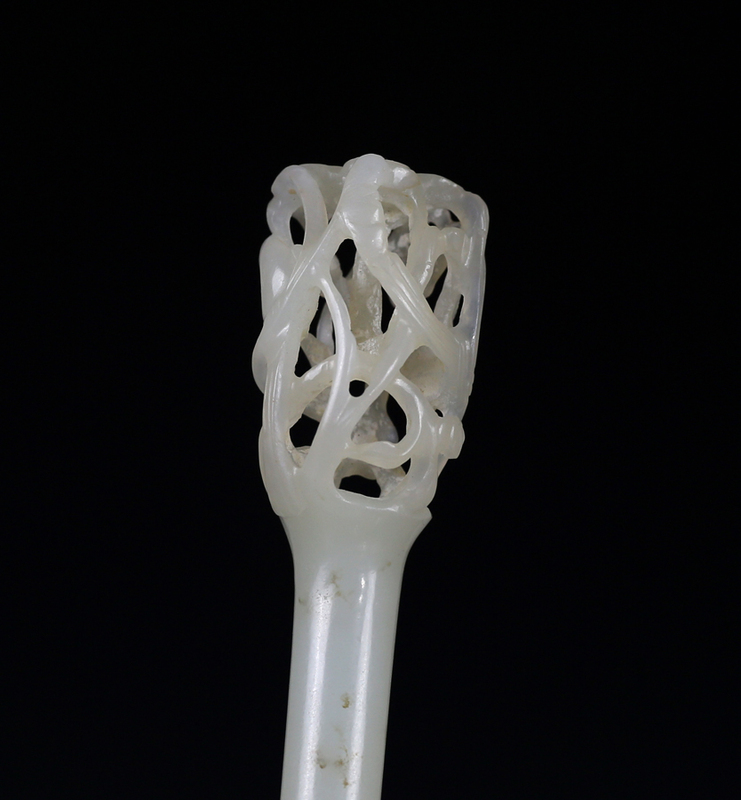 Likewise, the Ming era owner of this white jade hairpin would have appeared the height of elegance. 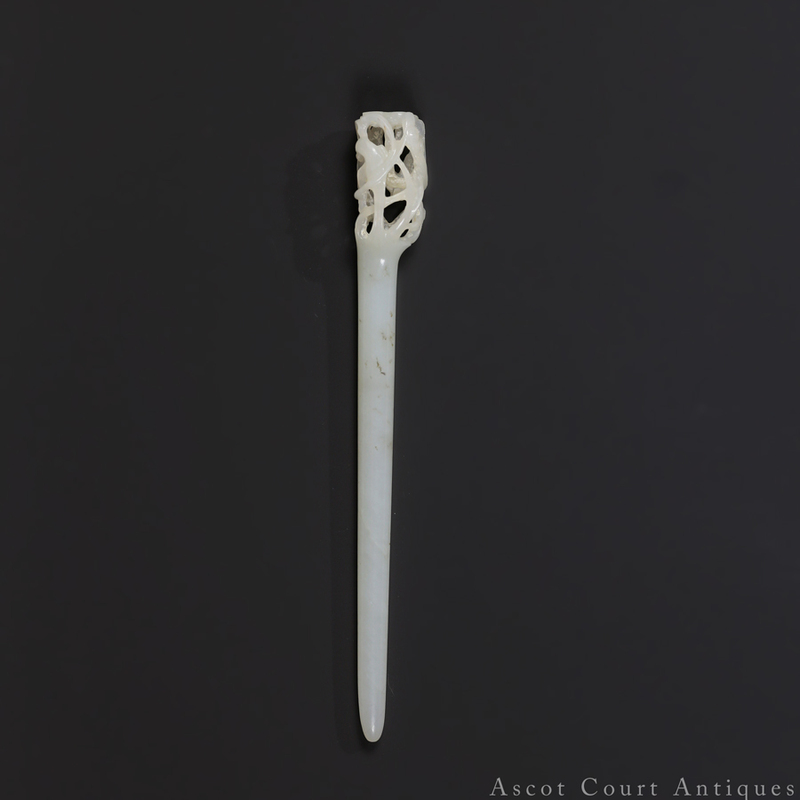 For a similar white jade hairpin, see Victoria and Albert museum A.48-1938.